Despite the functionality of faxes being completely replaced by email, there are still those occasional situations that require you to send or receive a fax. There’s always the option of driving to your local Copy shop, but you might not know that there are web services devoted to sending and receiving faxes. 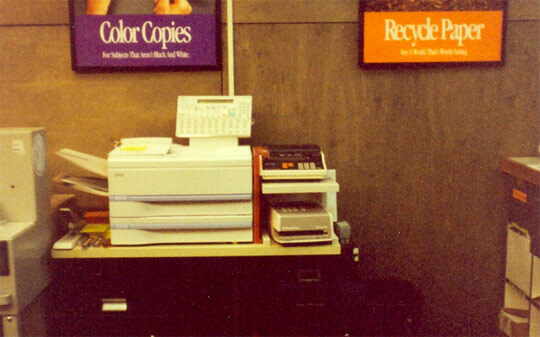 Most of the online fax services that look like they’ve been created within the last 10 years charge a subscription fee, but there are still some old-time sites around that will give you a free trial of their service–enough, at least, to take care of that one legal situation that requires you to send a fax. Here are two, but we’d love to hear your thoughts: do you have any experience with these or any other services, or any great tips or tricks to share? K7.net – you’ll be assigned a Washington state phone number and you can check faxes on their web site or have them emailed to you. Free, but the mailbox only holds 20 at a time. Category: Web Services | Tags: fax | Permalink | Post a comment | Trackback URL.